Edmund Janes James (May 21, 1855 – June 17, 1925) was an American academic, president of the University of Illinois from 1904 to 1920, and the primary founder, first president and first editor for the American Academy of Political and Social Science. James was born in Illinois and attended both Northwestern University and Harvard before receiving his doctorate in political economy from the University of Halle in 1877. Upon his return to the United States he received an appointment as a high school principal. In 1883, James was appointed at the University of Pennsylvania as professor of public finance and administration. It was there that he became the director of the Wharton School of Finance and Economy. While in Philadelphia, James organized the American Academy of Political and Social Science to foster research to help solve important social problems. In 1893, James left Philadelphia to accept a professorship in public administration and directorship of the university's extension program at the University of Chicago. In January 1902, he accepted the presidency of Northwestern University, but quickly became disenchanted with the school's lack of foresight:37 and began negotiations with the University of Illinois, where he became president in 1904. President James had the vision to build strong ties with China through education as early as 1906. That year, James wrote to President Theodore Roosevelt proposing a plan to establish scholarships for Chinese students to come to the U.S., this was later known as the "Boxer Indemnity Scholarship Program" (庚子賠款獎學金). James in his letter noted: "China is upon the verge of a revolution […] The nation which succeeds in educating the young Chinese of the present generation will be the nation which for a given expenditure of effort will reap the largest possible returns in moral, intellectual and commercial influence." President James established ties with China through the Chinese Minister to the United States, Wu Ting-Fang, and created a direct connection between China and the Urbana campus. 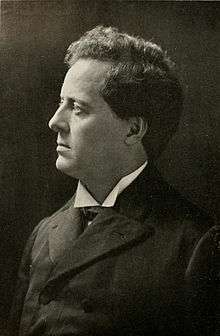 James also set up the first office for foreign students in the United States. Between 1911 and 1920, the University of Illinois was educating a third of all the Chinese students in the United States; many that held degrees from Illinois later influenced China's development, including Coching Chu (class of 1913) who is known as "Father of Chinese Meteorology". Edward Y. Ying (class of 1939) was influential in the planning of modern Shanghai. H.Y. Moh (class of 1913) later became a cotton manufacturer and government minister. Wikimedia Commons has media related to Edmund J. James.